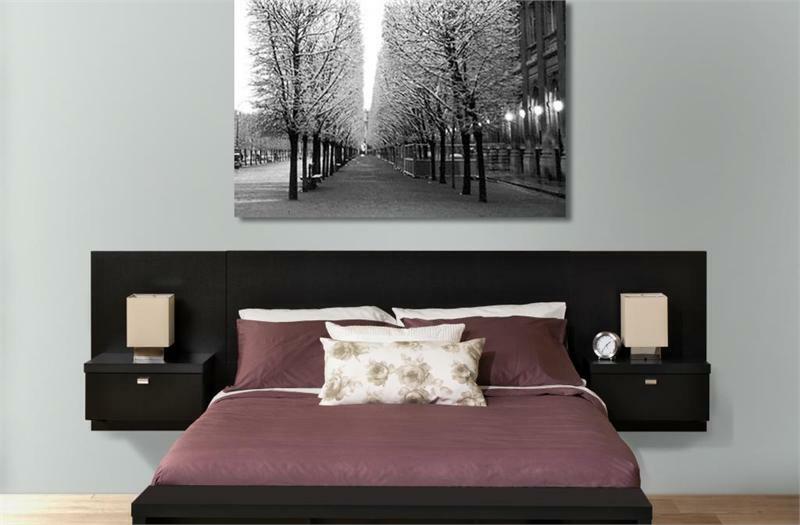 This 3-in-1 floating headboard with 2 nightstands maximizes your available floor space with its elevated, off the floor design. With a focus on simplicity and functional storage, this unit creates a modern and sleek bedroom. Two built-in nightstands extend from the headboard featuring drawers for out-of-site storage and a surface for your reading lamp and favorite books. 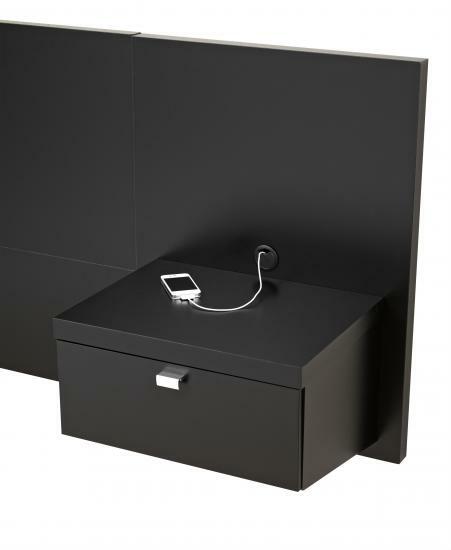 To maintain its clean lines, both nightstands feature hidden wire management for lamp cords, alarm clock cords or phone chargers. 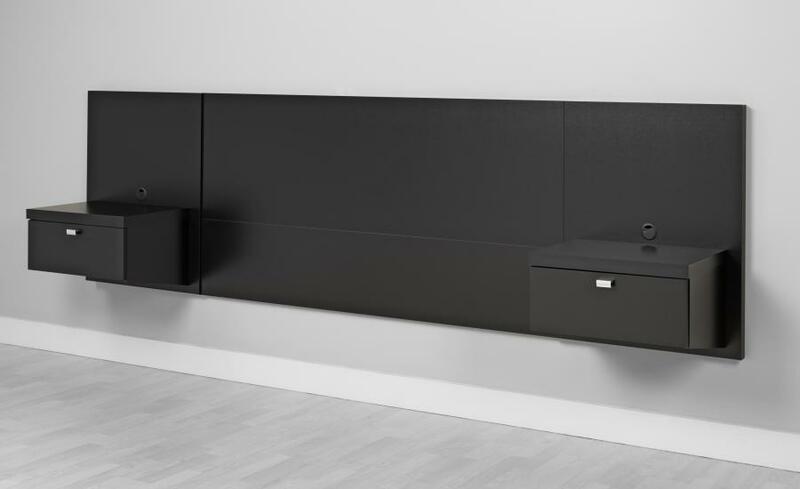 Installing the Floating Headboard at any height is simple, thanks to its innovative hanging rail mounting system. 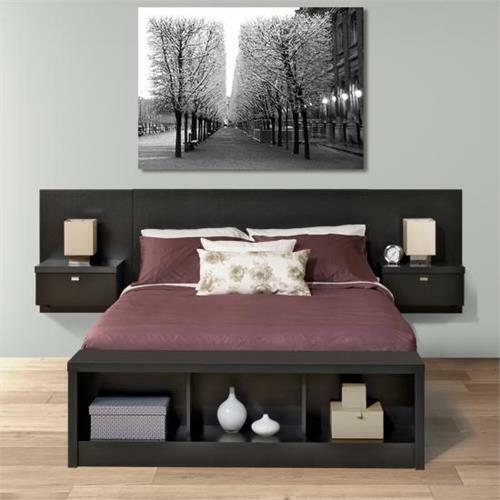 Because of its adjustable height, this system can accommodate any bed and mattress combination. Easy mounting at any height with the integrated hanging rail system. 2 built-in nightstands with removable plastic grommets for wire management. 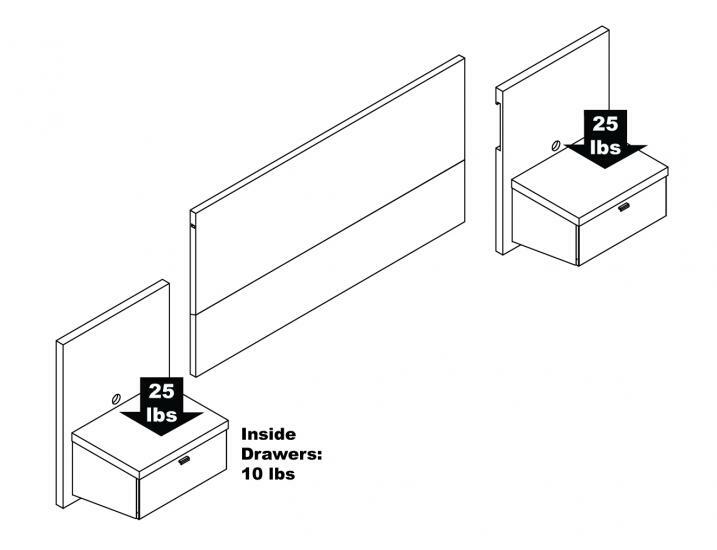 1 drawer in each nighstand (measuring 5"H x 16.5"W x 13"D each).